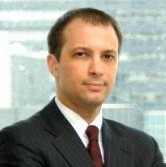 Will Haddad is a member at Pasquarello Fink Haddad LLC. Will focuses on securities litigation and business litigation. Will handles litigation involving all types of commercial disputes, as well as client responses to government investigations and enforcement actions. He frequently appears in state and federal courts, as well as various government and industry forums, including the Securities and Exchange Commission (SEC) and the Financial Industry Regulatory Authority (FINRA). Prior to joining Pasquarello Fink Haddad LLC, in 2016, Will was a partner at a litigation firm in Boston. Will also practiced in New York at Shearman & Sterling LLP and in Boston at Collora LLP, representing clients in connection with Department of Justice, SEC, FINRA and state Attorney General investigations, as well as commercial litigation. Pasquarello Fink Haddad LLC is a litigation and compliance services law firm in Boston. Our lawyers have worked at large law firms and serve Fortune 500 companies, startup ventures, and individuals in a wide array of commercial and employment litigation matters. We service the real estate, financial services, life sciences and hi-tech industries, among others. The Firm represents clients in traditional litigation settings (through trial, if appropriate) and in alternative dispute resolution (ADR) proceedings. We also provide employment and securities law counseling and compliance services. For more information, please click this link.